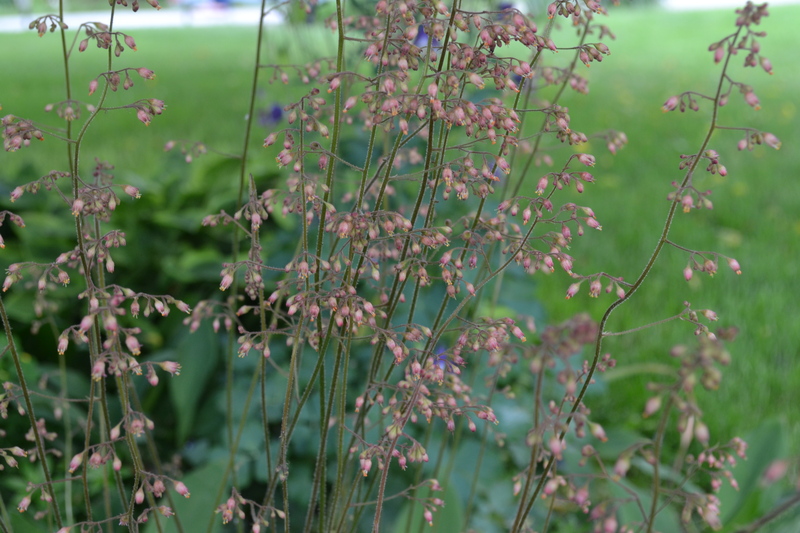 It’s a very rare month that I’m actually posting my entry in the Garden Bloggers Bloomday blog on the 15th, but here it is. May looks very white in the yard – the first iris to bloom is white, the azaleas (you can see them behind the chair) are white, the crabapple, which bloomed 2 weeks ago, was white! 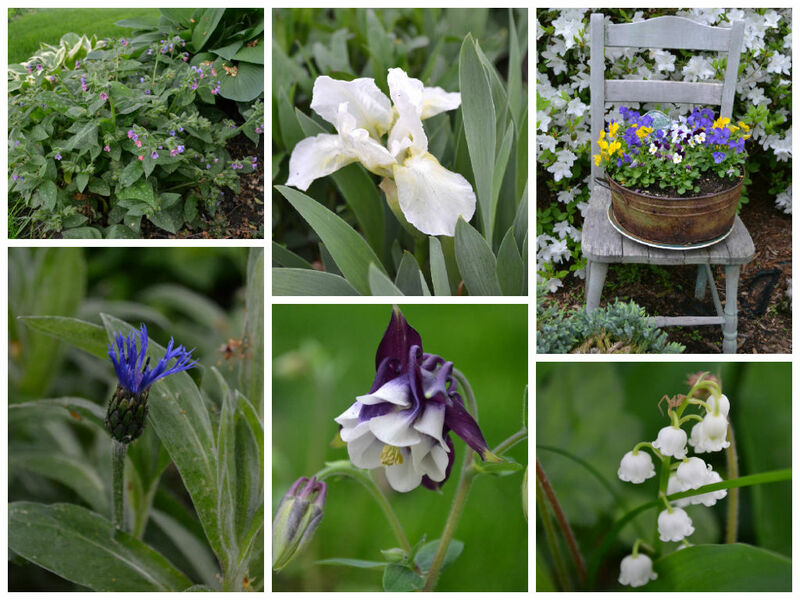 There is some blue arriving as well, the bachelor’s button, the lungwort, and the pansies are a nice blue this year. 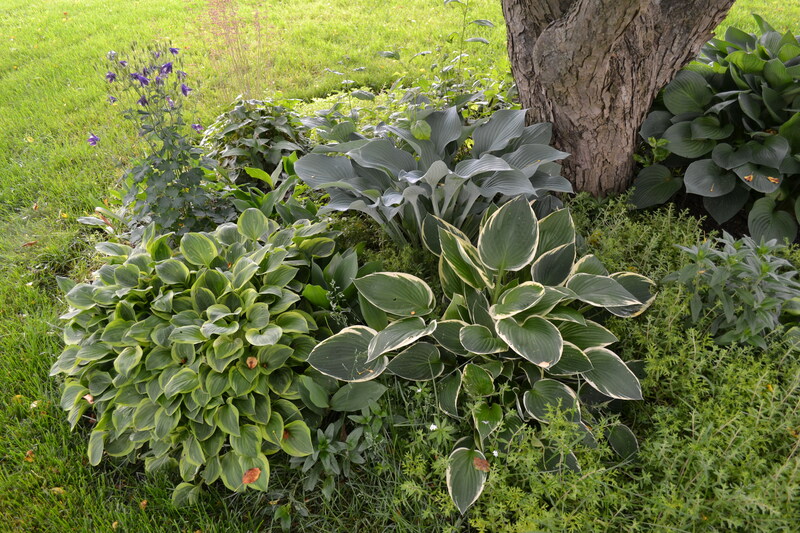 Many hostas are already up and spreading! For as long as spring took to get here, she is quite suddenly in full bloom! My columbine seems to appear overnight, and I completely forgot to spread the seeds I gathered from Tracy’s yard – she has a lovely pink columbine. 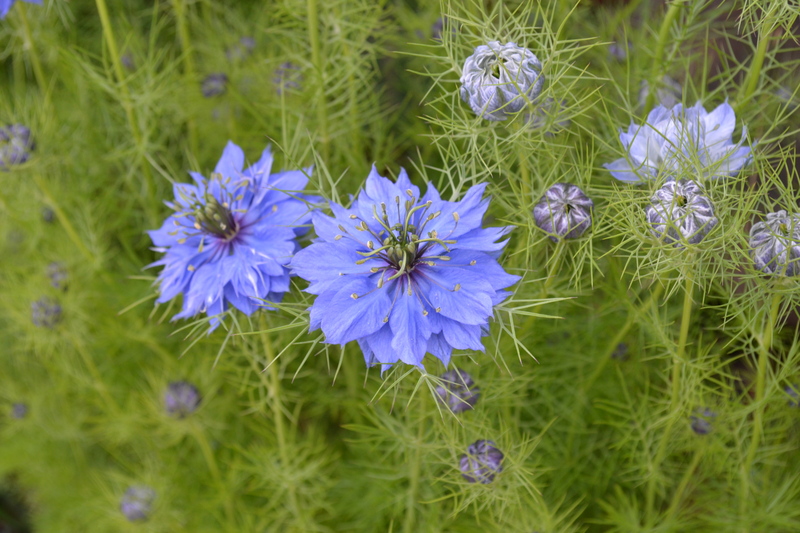 I will spread the seeds now, and hope I’m not too late to enjoy these lovelies! 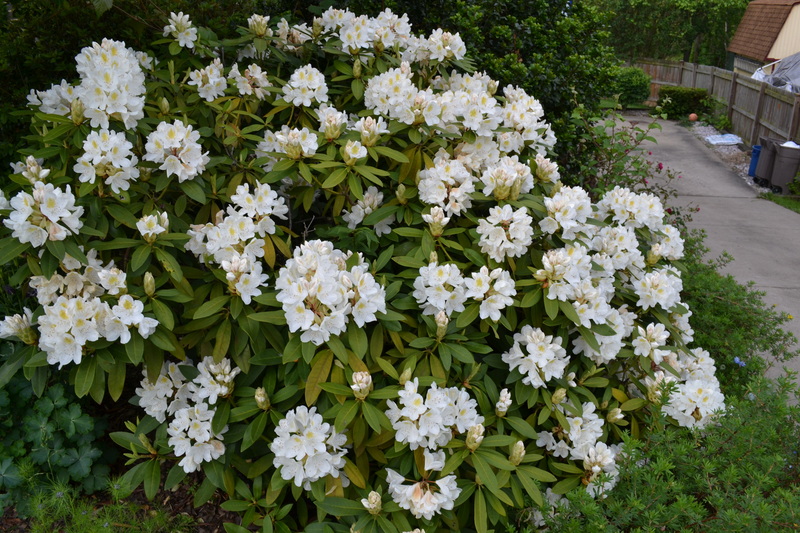 Please head over to Carol’s May Dreams Gardens for more blooms from around the world today! It’s been a while since I had anything in the yard worth mentioning on Bloomsday, but it does appear that Winter has gasped his last breath and it may be time for . . . wait for it . . . Spring!! Nothing says Spring like . . . 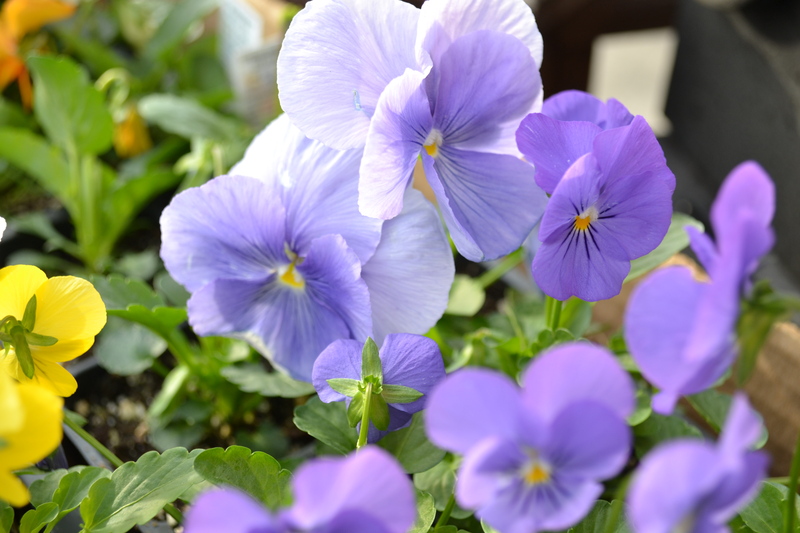 I took B out to Hazuza’s Greenhouse on Sunday to help me pick out the pansies for the containers. It was such a beautiful day, I left them out on the deck to acclimate. Tuesday morning, I phoned the hub from the office in a panic, as I had forgotten to move them closer to the house for warmth. It was SNOWING. He moved them in, and my check on them yesterday revealed they certainly did survive. 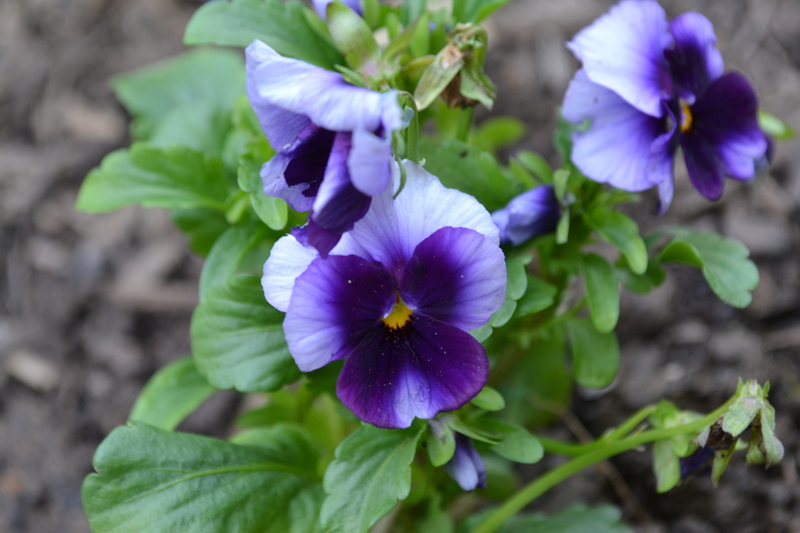 Pansies are very hardy and do prefer the cooler weather of Spring or Fall, but I was not so sure how the snow would treat them. 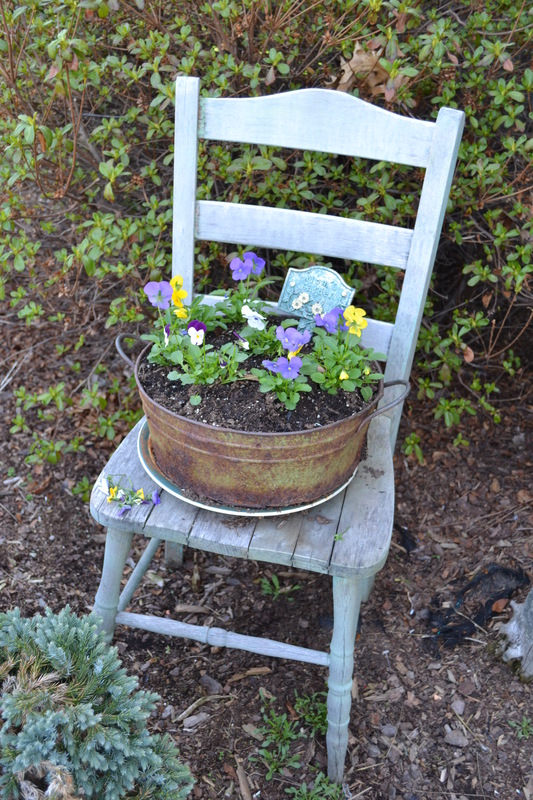 The pansies will be the showcase flower of the yard this Spring – we got enough to fill the hanging planters and pots on the deck, as well as the planter on the chair. 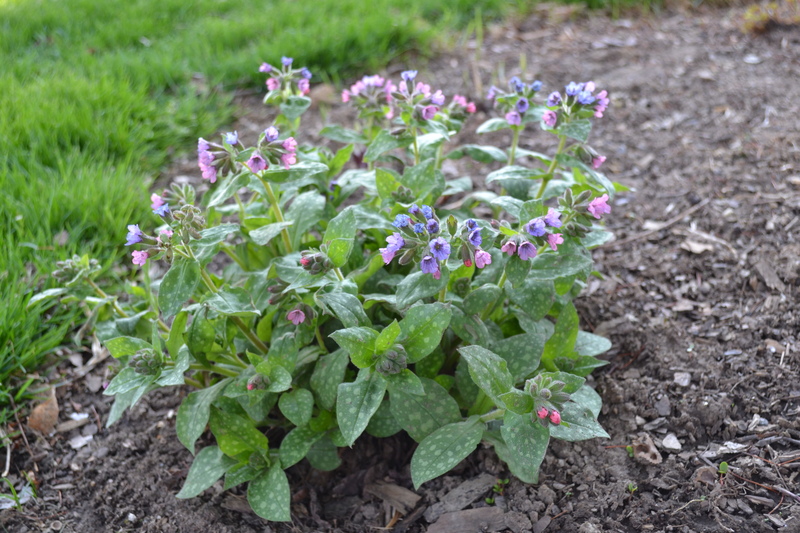 The lungwort (Plumoneria) looks spectacular this year. She heralds in Spring, and those speckled leaves will add an interesting touch even after her multi colored blooms have faded. One of my favorite specimens in the Crabapple Shade garden. 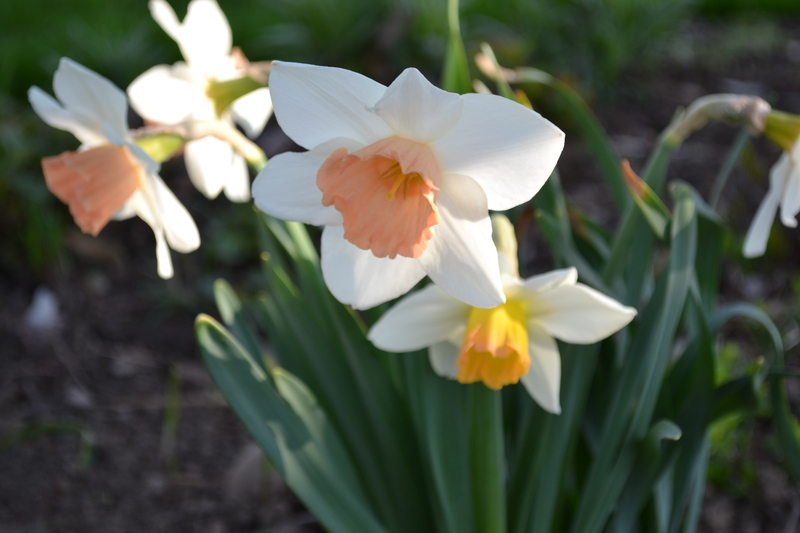 I purchased a new daffodil for the garden – it’s a pink one. B agrees it actually looks rather peachy! 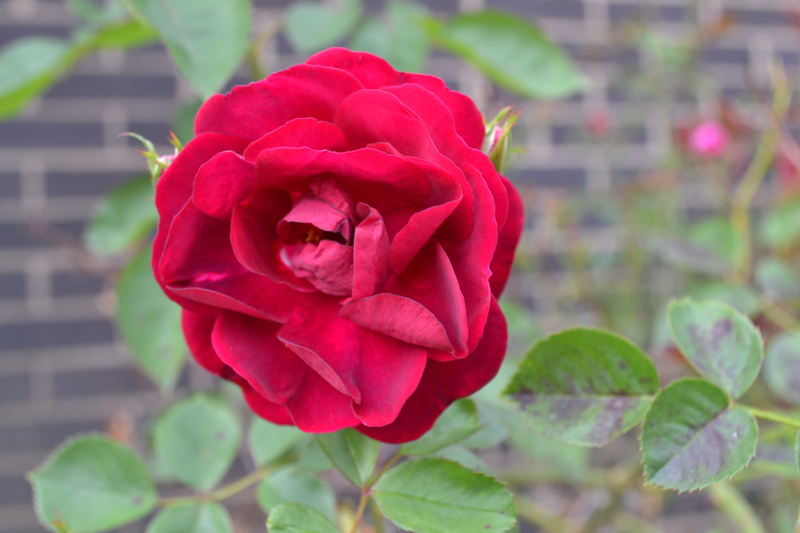 Be sure to check out what else is blooming this month on Bloomsday. 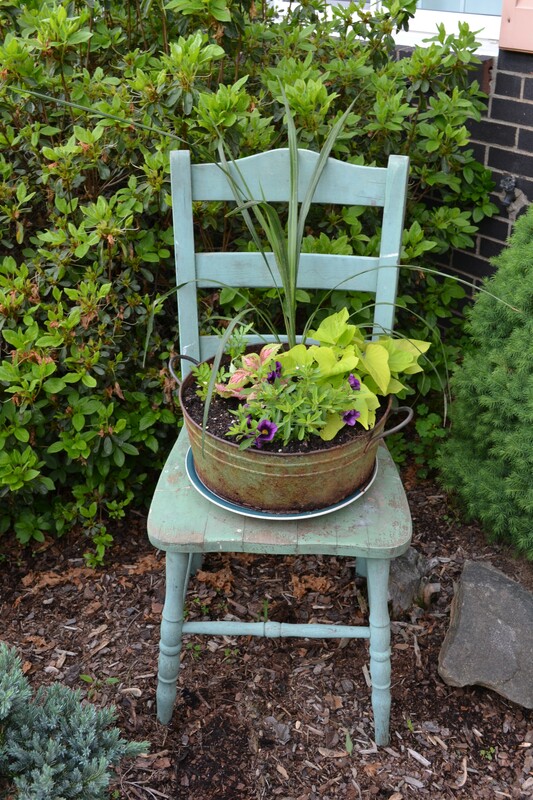 As per my usual, I’m late with my May 15 posting of Bloom Day for the Garden Bloggers Bloom Day! 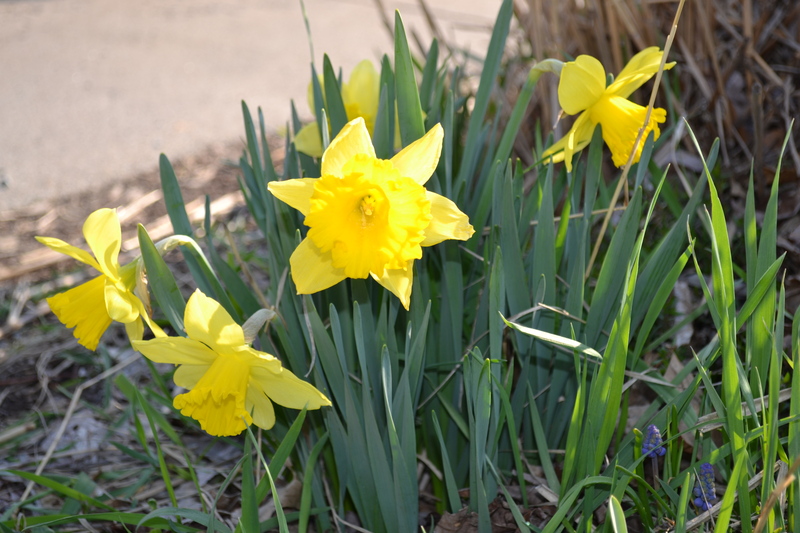 Here’s what’s bloomin’ in my yard this month. 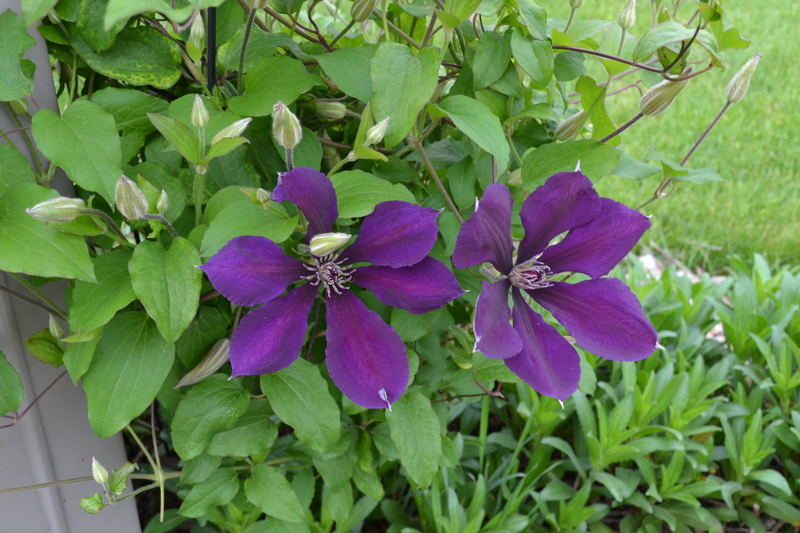 The clematis climbs the mailbox trellis. 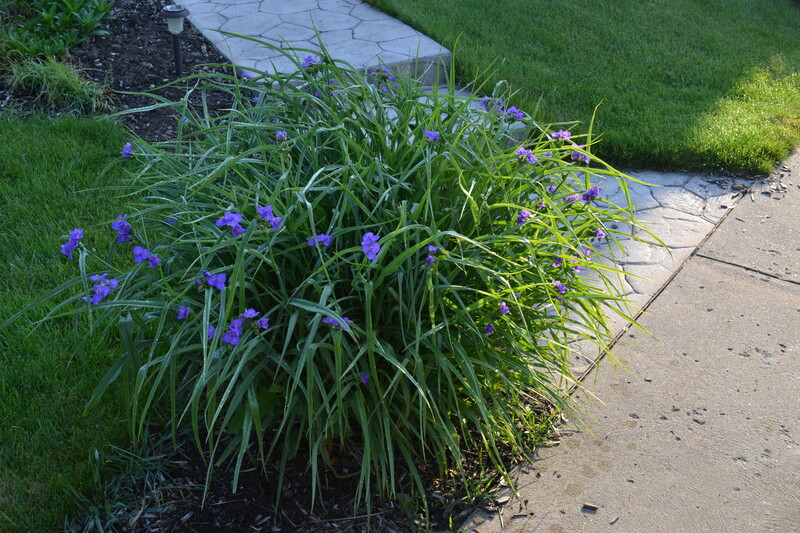 The spiderwort is my personal favorite – this photo really doesn’t do it justice, as the blooms look electric in person. Methinks it may be time to divide this one, but timing is always an issue. The chair is a ‘new’ addition to my front yard. I rescued it from the curb of a neighbor on trash day! I really just want to document how it looks each month.